Ryan wanted to be writer ever since she first heard Max’s declaration to “Let the wild rumpus start.” First it was Sendak; then it was C.S. Lewis and Madeline L’Engle. By the time she discovered Faulkner, the addiction had firmly taken hold. One of four children, Ryan found a refuge in reading, and it was about the only way to get some quiet time in her family’s activity-filled house. A love of words, a passion for reading, and an unwavering belief that she could help civilize teenagers took her to Sun Valley, Idaho, where she taught high school English and coached varsity basketball for 15 years. All that time she followed Mark Twain’s advice to “Write without pay until someone offers to pay.” She has the notebooks of unread and unedited chicken scratch to prove it. In 2010, she teamed up with Stephanie Freid-Perenchio to write text to complement her photographs. She left teaching in 2011 to write full-time and to be the founding editor for a Sun Valley-based magazine. That spring Ryan and Stephanie began working with eight wives of SEALs who had been killed since September 11, 2001, to help tell the story of their uncommon bond. And even though she’s a Kentuckian through and through (Go Cats! ), she has been a convert to mountain-town living. 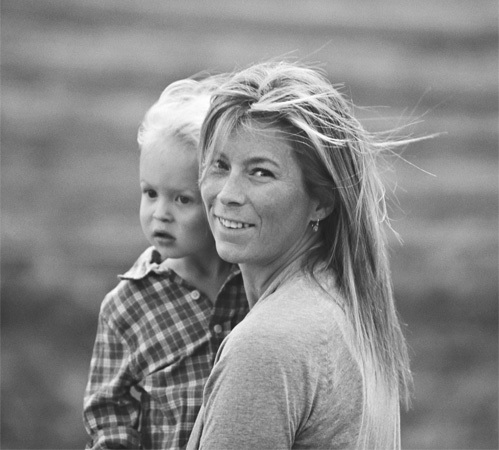 Home is Hailey, Idaho, with her husband and two children. She tries to find the time to ski or bike in between writing, daycare pick-ups and drop-offs, and her work as a board member for the Sun Valley Center for the Arts. Ryan still thinks getting lost in a book is one of life’s little gifts. And someday, she hopes to write one that will steal you away for days.